Is it too late for a baby? You’ve heard it before: Having a baby later in life is a race against time. A woman in her 20s has a far greater chance of getting pregnant during each menstrual cycle than a woman in her mid-30s. And by age 45, according to some research, the chance is about 3 percent. It may seem like the odds are stacked against a woman trying to have her first baby after peak fertility, but it’s not impossible. However, it does mean it might take more care in conceiving. Maintain a healthy weight. A 2012 study showed that older women who are obese during pregnancy are more likely to deliver before 37 weeks, more likely to deliver by caesarian section, more likely to have gestational diabetes and more likely to get preeclampsia. Get a checkup before you try to conceive. If you’re trying to get pregnant after 35, see your OB/GYN first. Your doctor will discuss your overall health and, depending on your specific circumstances, may recommend you also see a fertility specialist. Stop drinking and smoking, and eat a healthy diet. This is advice for any woman getting pregnant, but even more important for women over 35. Drinking alcohol and using tobacco products increase the chances of delivering a baby with birth defects or low birth weight. And eating a healthy diet will give you a boost of folic acid, an integral part of brain and spinal cord development. Take prenatal vitamins. Prenatal vitamins typically contain about 400 micrograms of folic acid, which can safeguard against birth defects—especially for women over 35. Track ovulation. Understanding that when you ovulate increases your chances of conceiving. Ovulation trackers can help you figure out when you’re most fertile each cycle, giving you the best chance of getting pregnant naturally. 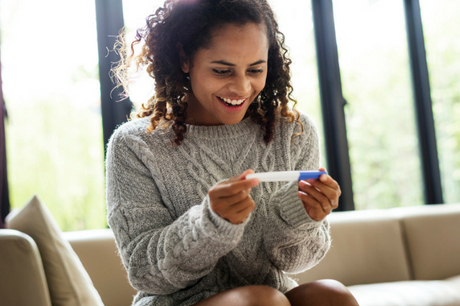 “Your doctor will discuss, based on your own cycles, your most fertile time each month and may recommend using an ovulation tracker because the longer you leave it to chance when you’re over 35 or 40, the fewer viable eggs you have,” explains Dr. Gell. If you’re able to conceive naturally, be sure to attend all doctor appointments during the first eight weeks. These early appointments will allow your doctor to monitor your health and the baby’s health and increase your chances of a healthy pregnancy. On the other hand, if you’ve been trying to get pregnant for six months and you are over 35, you may want to turn to your doctor for fertility help now, rather than waiting several more months as your chances of conceiving decrease. If your doctor hasn’t already, she may test to get a view of your fallopian tubes and check for fibroid uterine tumors. 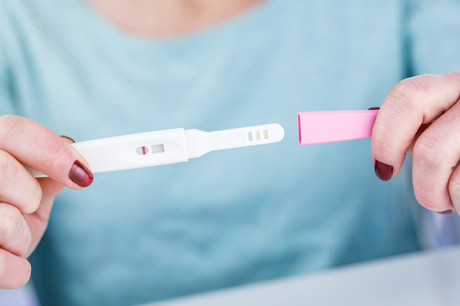 If those tests are clear, it may be time to consider fertility treatments. Fertility drugs: Your doctor may recommend trying fertility drugs to spur ovulation. The drugs will trigger the release of at least one egg—sometimes more—during each cycle. This can increase the chance of multiple births. Intrauterine insemination (IUI): IUI involves depositing concentrated sperm directly into the uterus during ovulation, which increases the chance of sperm and egg successfully meeting. This is sometimes used in combination with fertility drugs. In vitro fertilization (IVF): During IVF, eggs are removed from the ovaries and married with sperm in a lab. After the egg is fertilized, the resulting embryo is implanted back into the uterus. If more than one embryo is implanted, there’s an increased chance of multiple births. Intracytoplasmic sperm injection (ICSI): During ICSI, one sperm is injected into one egg to increase the chances of fertilization. This procedure is often combined with IVF. “The success rates for fertility treatments for women vary no matter the age, but it’s important to give yourself the best shot at delivering a healthy baby by taking good care of yourself before and during pregnancy,” notes Dr. Gell. Jennifer Gell, M.D., is an OBGYN and reproductive endocrinologist at Geisinger-East Mountain Specialty Clinic, Wilkes-Barre. To schedule an appointment with Dr. Gell, please visit Geisinger.org or call 570-808-7916.